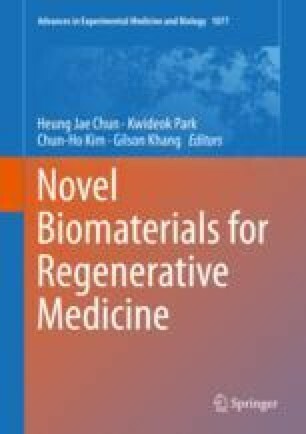 Bone tissue engineering using titanium (Ti) implant and titanium dioxide (TiO2) with their modification is gaining increasing attention. Ti has been adopted as an implant material in dental and orthopedic fields due to its superior properties. However, it still requires modification in order to achieve robust osteointegration between the Ti implant and surrounding bone. To modify the Ti implant, numerous methods have been introduced to fabricate porous implant surfaces with a variety of coating materials. Among these, plasma spraying of hydroxyapatite (HA) has been the most commonly used with commercial success. Meanwhile, TiO2 nanotubes have been actively studied as the coating material for implants, and promising results have been reported about improving osteogenic activity around implants recently. Also porous three-dimensional constructs based on TiO2 have been proposed as scaffolding material with high biocompatibility and osteoconductivity in large bone defects. However, the use of the TiO2 scaffolds in load-bearing environment is somewhat limited. In order to optimize the TiO2 scaffolds, studies have tried to combine various materials with TiO2 scaffolds including drug, mesenchymal stem cells, Al2O3-SiO2 solid and HA. This article will shortly introduce the properties of Ti and Ti-based implants with their modification, and review the progress of bone tissue engineering using the TiO2 nanotubes and scaffolds. Authors Tae-Keun Ahn and Dong Hyeon Lee have been equally contributed to this chapter. This work was supported by Korea Health Technology R&D Project through the Korea Health Industry Development Institute, funded by the Ministry of Health & Welfare, South Korea (grant number HI16C1559) and by Basic Science Research Program through the National Research Foundation of Korea (NRF) funded by the Ministry of Education (grant number NRF-2016R1D1A1A02937040).